Avidyne’s EX600 delivers easy-to-use, datalink-ready multifunction display capability for general aviation airplanes & helicopters. Avidyne is committed to improving situational awareness and safety for general aviation pilots by focusing on developing products that are easier to use. 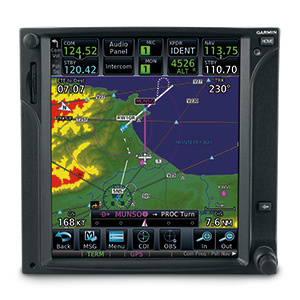 Now, with our new EX600 Multi-Function Display (MFD), Avidyne offers the most feature-rich, pilot-friendly and easiest-to-use multifunction display available. The EX600’s user interface dramatically improves your ability to access and display critical flight data. This design philosophy keeps operation simple and consistent by allowing you to select and display what you need on a single easy-to interpret integrated moving map. 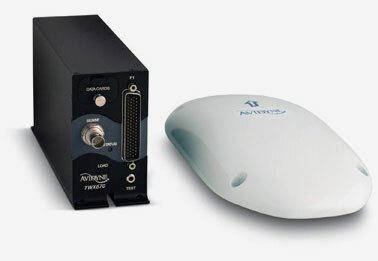 As a radar display replacement, the EX600 provides easy access to radar modes, tilt control, and bearing adjust. With the EX600’s “map-centric” operation and our new Map Panning feature, you can display a moving map of your flight plan and view datalink weather all along your route of flight. And view on-board Wx Radar. And special-use airspace. And traffic. And terrain. And color lightning. All without ever leaving the map page. It’s the only MFD available that provides the complete picture. And it’s the easiest to use. The EX600 keeps you connected with the complete weather picture, allowing you to view datalink graphical weather information that is seamlessly integrated with your flight plan moving map, lightning, traffic, and terrain display. The EX600 features an all-new, high-resolution, sunlightreadable LED-backlit color liquid-crystal display that provides the brightest, most versatile big-screen display available. With over 40% more pixels than our previous-generation MFD, and an incredibly wide viewing angle, the EX600 provides the look and feel of big-screen MFDs. All EX600s include CMax™, providing a world-wide library of geo-referenced approach charts and airport diagrams that help you manage and access critical flight information and reduce the amount of paper required on board your aircraft. Utilizing Jeppesen’s trusted JeppView™ Electronic Airway Manual, CMax makes accessing an approach or viewing an airport diagram a breeze. At startup, your departure airport chart is automatically loaded for ease of orientation, especially at unfamiliar fields. Your destination airport diagram and the list of available approaches are automatically loaded at the time your flight plan is entered. Charts can also be loaded for nearby airports along your route from the Trip Page using the EX600’s Auto-Fill™. Weather is a critical factor in the successful completion of any flight and Avidyne leads the industry in weather avoidance-capable multifunction displays. In addition to interfacing with 19 different on-board weather radar systems, the EX600 also displays color lightning and both broadcast and two-way satellite datalink weather. Interfaced with MLB700 or XMD076/A, the EX600 can display cell height and cell movement including speed and forecasted direction. The EX600 displays Broadcast Datalink weather giving pilots comprehensive, graphical information about weather conditions all across the Continental United States (CONUS). The EX600 displays NEXRAD radar mosaic, Hail Warnings, AIRMETs, SIGMETs, graphical and textual METARs, TAFs, Temperatures and Winds Aloft, TFRs, and datalinked Lightning. CMax airport diagrams include 6,004 worldwide locations, 5,695 of which are geo-referenced charts, meaning the EX600 MFD can overlay the flight plan and aircraft ownship symbol, making it possible to view the aircraft position directly on runways, taxiways, and ramps. Panning keys allow details of the chart to be shown. From the Trip Page, you have easy access to vital information, including graphical METARs for all reporting airports and one-button access to CMax approach charts for any airport along your route. Decoded METARs, Textual TAFs, and Winds and Temperatures Aloft can also be viewed at the push of a button. In addition to “Nearest to Present Position,” the EX600 also provides Avidyne’s unique “Nearest to Destination” Page which shows graphical and decoded METARs at the destination and surrounding airports, making it easy to monitor weather ahead and to select an alternate when needed. 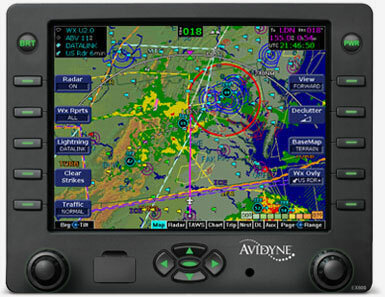 With the EX600, Avidyne has added an easy-to-use panning function that allows you to scroll to virtually any point on the map to view weather, airspace, and other points of interest. Dedicated panning keys make it easy to view any area on the map, especially helpful for viewing weather at your destination. The four directional keys provide precise control, and the center key enables Avidyne’s exclusive QuickPan feature, which toggles the display between the panned position and your present position. While panning, the map can be zoomed in or out so you can easily see the close-in details or see the whole picture. Panning along your route of flight, you can see exactly how the weather is looking, allowing you to make strategic decisions that can easily save you time and fuel. In addition to a larger display area, the EX600’s exclusive QuickPan feature allows the pilot to quickly toggle between the present position and a panned-to position with a single button push. In addition to a dedicated radar page like other MFDs offer, the EX600 is the only MFD that can overlay your on-board Wx Radar right on your base map, along with Flight Plan, Terrain, Traffic, SUAs and datalinked weather data such as graphical METARs, SIGMETs, and AIRMETs.. The EX600 can also interface with the Avidyne TWX670 to display real-time color lightning overlaid right on the moving map. On-board lightning provides a tactical complement to the strategic benefits of satellite-based datalink weather, and the addition of color provides more meaningful display of critical weather data. The EX600 is designed to replace existing CRT-based radar indicators for any of 19 different radar systems. Dedicated Range, Bearing and Tilt controls and exclusive features like BeamView™ and TiltView™ make it much easier to use than competing radar-capable displays. Easy to Update. Easy to upgrade. NAV and Chart databases are easily updated through the USB port right on the front bezel. (European VFR charts shown) For existing EX500 customers, the EX600 is a pin-for-pin replacement that provides a larger display and adds our unique Map Panning capability.